Earn money for the Minuteman Band at most online major retailers and travel sites! To date, over $2,200 has been donated! A BIG THANKS to all those who made the George N. Parks Minuteman Marching Band Building possible. Corporate gift matching programs are available for you to double, triple or even quadruple your gift with employer funds. Did you know that if over 70 ½, the IRS requires you take distributions from your IRA? Learn how to avoid taxes on those RMDs while you help the UMMB! UMass Amherst supports a number of non-cash gift and estate planning programs. If you have any questions about opportunities that could support the Minuteman Band, please contact Lucia Miller at (413) 577-4421. 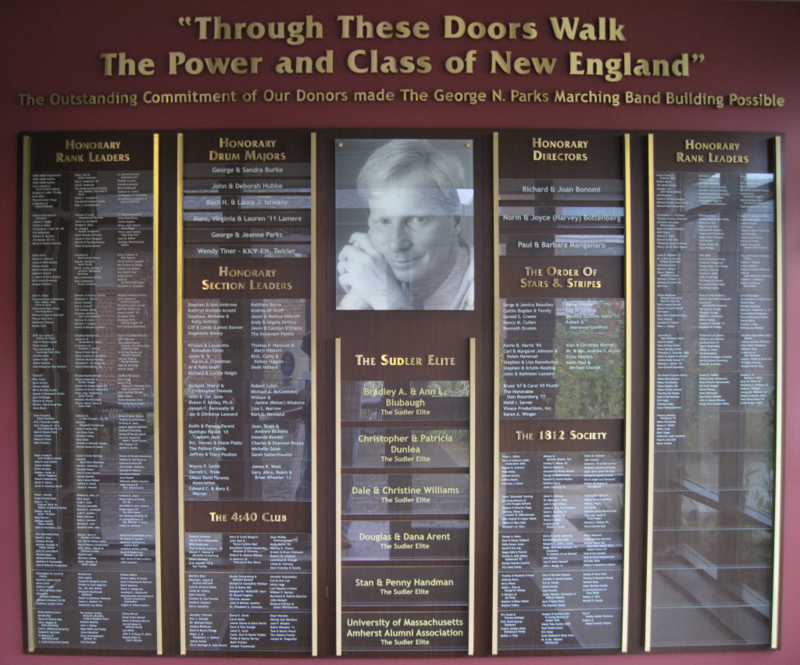 The new George N. Parks Minuteman Marching Band Building at the University of Massachusetts Amherst has been awarded LEED Gold certification by the U.S. Green Building Council (USGBC) and verified by the Green Building Certification Institute (GBCI). It is the first building to be LEED certified on the UMass Amherst campus.